The light of the full moon gazes down upon the quiet town nestled comfortably together, the stars shine ever-so-brightly in the blanket of the night sky. Staring up at these stars with awe and admiration was a lone traveler who had arrived late in this calm town, no matter how old one was they would have to stop and gaze up at the beautiful sight of all the stars in innocent wonder. The moon welcomed the night, soothing a weary traveler's trouble just by the halo cast about it like a forlorn angel calling to her out of the shadows. The woman's hair was the same color as the moonlight, like strands of pure silver spun from the gods themselves. Even in such ratty attire she seemed to have the respected aurora about her, she didn't have a coin on herself but she couldn't let hungry nip at her mind when she was blessed with such a beautiful sight. The slight bustle of the midnight residents melted into the background until it was utterly silent in her mind. The soft glow of the moon caused her cream skin to practically glow like some ethereal creature of the night, her lashes of silver silk frame her strange but exotic eyes. The iris swirled like liquid mercury, constantly churning and spiraling in those depths, they held knowledge and found beauty in all things, almost innocent. The woman did not want to part from standing there in the middle of the street, gazing up at the sky like a love-struck youth. Her pale pink lips part to let out a sigh of longing, which came out as a puff of white mist to testify how cold it was outside. Finally, she managed to tear her gaze away from the night sky, drawing her cloak close for warmth. Now that she broke free of the trance the bitter cold came back with a bite all the way to her very bones. Shivering once, the woman made her way with her oversized boot plodding along the stone street, they had been given to her from a widow who no longer needed her husbands clothes and boots so everything on her was a bit loose on her slender frame. A slender hand reaches out for the doorknob to the tavern, seeking a hour or so of warmth by the fireplace. She straightened her shoulders to make herself appear normal and not some street bum which she actually could be considered so due to the lack of coin. She may not have much, but she still had the last threads of her pride as she steps into the tavern. The woman giving a simple nod before moving over to the table closest to the fire place. With a relieved sigh she rested her legs, her muscles were cramped up from the cold so she needed to warm up before traveling again. She was on a mission to find someone, this mission had been going on from the beginning of time itself it seemed. She might be weary but she was persistent, the urge to right all wrongs, to fight against evil pumped strong in her veins. She had given up everything for this quest, to keep them weak safe from harm. Fire roared in defiance of all that was good in this world, devouring the town whole, stealing innocent lives as it sent their souls up to the sky in a plume of utter blackness. Screams rent the air, dominated by the roars of dragons battling, even the ground trembled in fear of the creatures. The sky was shrouded with smoke, lightning flashed, ripped through the sky to impale a dragon, scattering its brazen scales as it tumble to earth, a hole gaping through its chest. Jets of fire burned the air, searing the scales of a dragon of the purest gold that would make any humble orc salivate. Blue scales dart across the sky, slamming into the gold creature, the dragon of sapphire scale parted his large jaws as the air hummed and snapped with growing power before a bolt of lightening slams into the massive dragon's scales. The blue released its dead foe only to be slammed into by quicksilver, roaring in defiance of the darkness before spewing forth vaporous fumes. The bulky opponent's beady eyes rolled back into its skull, having fainted as they both spiral towards the earth, the silver releasing the bulkier dragon to crash into the ground. Acid hissed as it flew across the sky as it was lit by a gout of flame, smoke cleared only in breath intervals to show the massive dragon clashing, the titans of all coming together in a war to end all wars. The air was filled with strife of the battling dragons in the age old good versus evil, but on the ground the forces of men were gathering on their eager chargers that paw restlessly at the dirt with iron-shod hooves. They were not uniformed knights, their armor pieced together, all men who had come to this one spot to push back the forces of darkness. 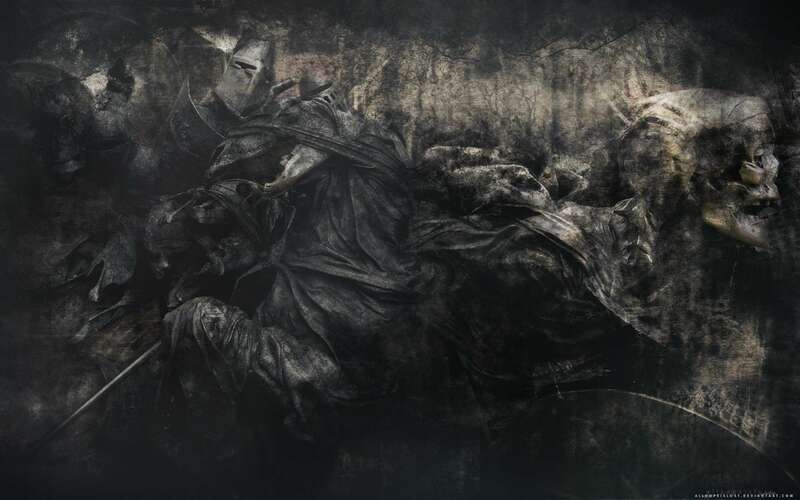 Creatures of the void spilled from the shadows and gloom, orcs and ogres alike, turning the rampage in the direction of the knights how stood in formation. There were no awe-inspiring speech, this was pure and utter chaos, the captain of the group of knights roared in the name of all things that were holy before he spurred his mount forward. The bickering of the pair broke the silence of the night, the moon’s bright glow lighting up a set of orange glasses and many, many silver barbells. As the nearly waist-length ears swayed, the barest tinkle of metal striking metal could be heard beneath the volume of the voices as each ear struck buckles on the side of his pack. Had the owner of the ears been standing at more than a hunch, they may have appeared less than waist length, as they truly were not, but the illusion of stature held for the moment. A clawed, four-fingered hand rose, pushing the glasses up the blunted snout that made up the creature’s face. A pink nose squirmed and twitched as it sniffed the air, standing out against the blackness of the creature’s fur. His mouth was the one that produced the higher-pitched, smoother of the two voices, his face showing the annoyance with his partner. At first glance, it would be difficult to pick out details on the dark-furred creature even with the moonlight, yet the closer he came to the tavern and its outside lamp, the more defined his features. His blunted snout rested on a rounded head, his neck a bit thick for such a scrawny creature. Long ears swayed to and fro behind him, one on each side of his backpack. The insides of his ears appeared to be a lighter gray in contrast to the dark fur. A shirt of deep purple hid his torso from view, the brown straps of his bag cutting brighter swaths over his shoulders. A black, skirt-like garment swayed around the creature’s shins, black boots visible, along with the occasional glimpse of dark purple trousers matching the leather armor on his torso. An odd contraption hung from his waist, the creature’s right hand, clad in a glove of soft brown leather, moving down to secure the strap that had come loose and caused it to sway. The fervor in his companion’s voice quieted the rabbit creature, shaking his head for a moment. The movement of his head allowed shiny black horns to be seen on the sides of his head, curling in on themselves as they jut backwards, like a strange set of ram horns. The rabbit creature went quiet then, tired of talking over relationships and such. Besides that, they had arrived at the entrance. He’d secured the swaying bow at his side, as the contraption he’d strapped tighter was his folding shortbow, an iron folding fan next to it on his belt. He reached out to snag the knob on the door, turning it and stepping back out of the way. The rabbit creature’s companion stepped into the tavern first, the cherry on his cigarette flaring bright as he inhaled. Holding his breath, shaded eyes scanned the crowd from beneath his dark hood. He flicked the hood back to reveal that it was not the only thing shading his eyes, a small set of round sunglasses keeping them hidden. He revealed neatly placed dreadlocks falling on each side of his head, parted down the middle. Thick, haphazard stitches adorned his cheeks, the man exhaling then. The smoke did not exit his mouth or nose as expected, however. In a rather gruesome fashion, streamers of smoke escaped his cheeks around the thick stitches, proving just why he had the stitches in the first place. Unlike his friend, he was quite plainly dressed, a hooded black sweater with a zipper making a shining silver trail up his chest. Simple fatigues of the same color as his sweater adorned his legs, the bottoms tucked into soft brown boots of leather. He also had no hardware hanging off his body as the creature did, having only a cloth sack lashed to his back with a bit of chain. Dumah stepped out of the way so his companion could enter, the black-furred rabbit creature moving past him. “Ooo, fire,” he muttered, the creature nodding Dumah towards a table near the fire. The table had only one occupant that they could see, the pair moving closer. The rabbit creature stepped up first to the table, lightly tapping the woman on the shoulder with his gloved fingers. He spoke quietly, Dumah finishing his smoke as he loomed over the shorter, scrawnier male. The warmth of the fireplace was soothing, lulling the silver haired woman almost as her eyelids grew heavy over those murky gray eyes. The firelight flickered over her rugged form, beneath the dirty and patch up clothing was a skinny woman, not the healthy kind the kind that had missed a few meals.However, she felt blessed at the moment, she gave her treasures to people truly in need, she could always hunt if she in dire need for food. Lately she was too distracted to think about eating, something within her told her trouble was stirring and she didn't know where, not a single clue on how to stop this trouble. Her delicate hands rest in her lap, while she had silver-pun hair, she did not appear old, taking the appearance of a human for she didn't like the refined elegance the elves had. She liked the hardy, good-natured look of humans, the very beings she envied. The woman nearly fell out of her chair when something tapped her slender shoulder, it was getting easier and easier for people to sneak up on her as she was getting more and more distracted by the haunting thoughts of the past that always crept up on her from the dark recess of her large mind. One hand was held over her heart as if to soothe the rapidly beating organ while her eyes stare up at an unexpected creature. She expected mostly humans, some magic users, maybe a few nightly creatures but this almost borderline absurdity in the tavern. Then again, she had seen the rabbit creature's race before, just not out in a tavern before. She examined him for a moment, her eyes gentle and warm despite being a daring silver. Then she turned her attention over to the rabbit's companion, finding them suitable enough for tablemates so she nodded gently. "I wouldn't decline such polite gentleman to take the spare seats, they are afterall for everyone after all and I wasn't going to use them anyways. I am called simply Miirik, it a pleasure to meet your acquaintances, please have a seat and rest your weary legs." Her voice was soft, inviting like she was at home where ever she went, polite to everyone for everyone always had a fair chance in life in her eyes. That was what could be considered her downfall, she cherished everything with a strong passion and humans had always been admired by her. With her lifespan human life was just a blink for her, which crushed her kind heart when she wanted to get attached she couldn't because she couldn't bear to see them die from age before her eyes. But even so, she still clung to human society, enjoying how they lived, she would not judge an entire race for the evil and corrupt for her race had those too. Miirik simply bathed in the moment, watching a child laugh and women sit on their porches, sewing and gossiping together. She wanted that, yearned for it but deep down she knew it was not destined for her, she was meant to protect those happy moments. Ch’taeish arched a brow when the woman very nearly toppled to the floor at his touch, drawing his hand back a bit. The Sharnefal flicked his tongue out over his mouth for a moment, giving her a small smile. His hand rose once more, plucking from his face the glasses that hid his eyes. Ch’taeish exposed milky white eyes, yet he was not blind, a slightly darker white iris surrounding the only color: its black pupil. He had not intended to frighten the woman, his eyes on hers as she stared up at him. Both hands rose, plucking off his pack as she spoke, letting it drop to the floor with a thump. He cleared his throat of a bit of gunk as he pulled out a chair next to his bag, his palms laid gently on the table. “Then I will have to ask you to forgive my companion in advance, ma’am. He’s not so polite as I. He has a very blunt way of talking,” he said, shooting a glance at Dumah as the smoker put out his not-quite-tobacco cigarette on his callused palm. The man sat down with a slight grin, not removing his dark glasses like the rabbit creature had. His own hid his eyes better, as Ch’taeish’s glasses were a soft orange color. The human-looking man used a table leg to prop up his foot, boot resting upon it for the moment. He regarded the woman for a moment, then dropped his foot and leaned forward to rest an arm on the table. “Oh, yes, let’s bring someone else into this argument. Please, ma’am, enlighten us on your opinion and also, please inform this cretin that physical beauty is not everything. If I wished to spend our month in the intimate company of a troll war chief, it is my right, is it not? He seems to think that it is the same as his predilection for one night stands. Though he found her distasteful, I thought her views on things, however simplistic, to be enlightening,” he mused, scoffing slightly at Dumah’s blunt questioning of the woman. He crossed his arms after he loosened his shirt, exposing the purple-colored leather armor beneath the shirt of the same color. He then uncrossed them and loosened his belt, taking the folded bow off his belt and placing it in his bag, but laying his iron fan on the table. Dumah crossed his thick arms over his chest in the same manner that Ch’taeish had, watching his companion. The black-furred Sharnefal stroked his long, pierced ears, feeling each barbell under his fingers. Dumah never understood why he wanted so many, not understanding the culture of the rabbit man. He did understand that while they could be called the Sharn, they were not to be confused with the other race of the same name; that made them angry. With his arms crossed, he leaned forward, elbows thumping onto the table, both equally eager for new input despite how rude Ch’taeish had made Dumah seem for asking, the rabbit man piping up again.